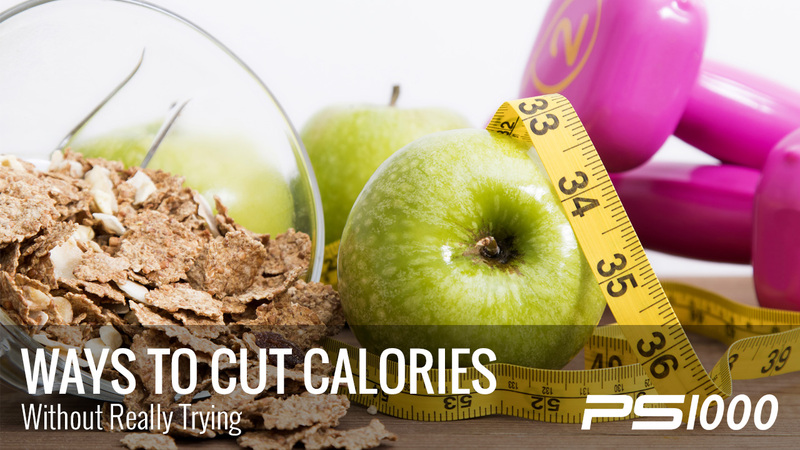 Dieting can seem daunting, but it doesn’t have to. 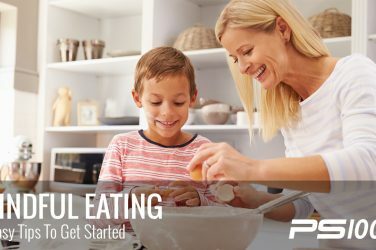 The good news is that there are plenty of simple, quick tips that you can start right away to be well on your way to a healthier diet and lifestyle. 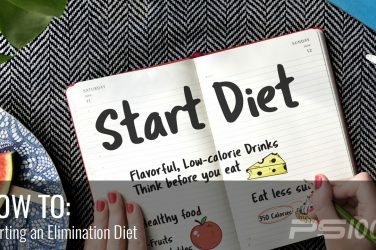 Thinking of “dieting” not as a short-term, difficult and pain-inducing plan and more of a switch to a healthier eating style that is sustainable and can last forever is a much healthier and more feasible way to think about it. Instead of setting rigid guidelines that are hard to follow and take all the fun out of life, making slow and steady changes that naturally motivate you by making you feel good (like the ones you’ll find on our diet program), is the way to go. It is pretty commonly accepted at this point that sugar is bad for you. Yes, some are better than others (refined sugar is far worse than natural ones such as maple syrup or honey), but all still stimulate insulin secretions, and this can store more fat and put us on a blood sugar rollercoaster. Keep your sugar intake as low as possible, plain and simple (1). To make sure you are getting plenty of micronutrients (vitamins, minerals, antioxidants, phytonutrients, etc), aim to fill at least half of each plate or bowl with half fresh veggies, and some fruit. Definitely eat more veggies than fruit, and an extra added bonus if your produce is organic and local. 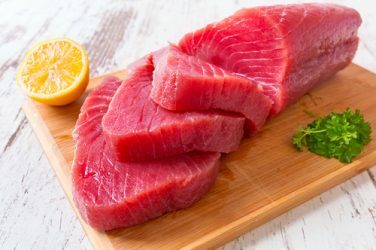 Eating plenty of protein has been shown to boost metabolism (and therefore weight loss), not to mention that it will keep us fuller until lunch and help curb sugar cravings (2). 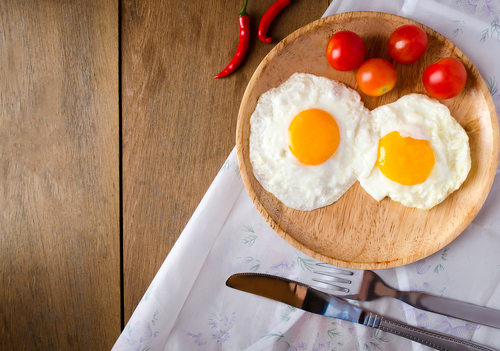 Try to include no less than around 20 grams of protein with breakfast, in the form of nutrient dense options like eggs, high quality meat or fish, cottage cheese or whole, plain yogurt or plain greek yogurt. While fresh fruit is okay, fruit juices have been stripped of their fiber and other important nutrients that slows the sugar absorption of the fruit. A diet high in fruit juices and other sugar drinks like sodas, sweetened coffee drinks and iced teas will almost certainly add to weight gain and put you at risk for disease due to their high sugar content. Fiber is essential for proper digestion, and the best sources are lots of fresh veggies and fruits. Adequate fiber intake has been linked with a decreased risk of heart disease and diabetes, as well as helping to treat and prevent constipation (3). Avocados, pears, raspberries, artichokes and brussels sprouts are particularly nutrient dense options that are high in fiber. Processed and packaged foods usually come with long ingredient lists of artificial additives, not to mention they are often very high sugar and carbs. Stick to the perimeter of your grocery store where the fresh produce, meats, eggs and dairy live. This sounds so simple, yet many people don’t do it! Chewing your food until it becomes a mush in your mouth is so important for proper digestion, and for weight loss. Eating slowly and chewing our food helps us to feel fuller and eat less. 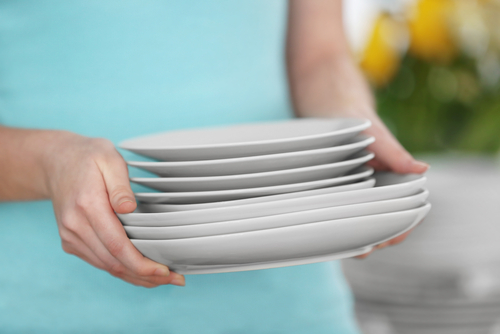 This one might seem strange, but studies show that people automatically eat less when eating from a smaller plate. Easy enough! Drinking plenty of fresh water throughout the day helps to cut your overall calorie intake, and often thirst is mistaken for hunger. In fact, one study showed that drinking about a half liter of water, 30 minutes before meal time reduced overall hunger and led to less calories consumed (4). This tip is harder for many people that you might think, but turning off phones, televisions and any other technological distraction can make a huge difference in how many calories you eat. One study found that people who watched TV while eating tended to consume 10% more calories than those who simply sat and ate (5). Staying focused and mindful while eating is an important skill, not only for weight loss but for staying present and grounded, in general. Multiple studies have shown that sleep deficiency directly correlates with weight gain. The reason for this is because lack of sleep affects our body’s appetite regulating hormones, ghrelin and leptin, causing us to feel hungrier (6). Instead of embarking on a hard-to-follow and intimidating diet plan, think of making little changes each day that put you on the path to wellness. After all, adopting a healthy diet should be a long term way of eating, not a temporary fix.